Holiday houses in the Crimea. VIP vacation in the Crimea in 2019, without intermediaries. Vacation in Crimea - holiday house "Feet in the Sea". Holiday houses in the Crimea - a comfortable small cottages are located directly beside the sea - which makes it possible luxury vacation in the Crimea in the summer of 2019, and almost around the clock to enjoy the proximity of sea surface and a soothing whisper of waves vacation in the Crimea in the summer of 2019, and a soothing whisper of waves. Vacation in Crimea - holiday house "Feet in the Sea"
"Feet in the Sea" - a cozy Holiday house in Crimea, recreation in which figures to celebrate his soul and enjoy sea sunny beaches with emerald water, fun gatherings in decent cafes, as well as slow walk under the moon, or dive into the nightlife of clubs and discos. Contact details provided on our site - for those interested in vacation in the Crimea without intermediaries. Write an email or call - you can discuss your questions directly with the owner of a hangar. Site holiday house "Feet in the sea" offers you a vacation in the Crimea in 2019, without intermediaries. "Feet in the Sea" - holiday house in the Crimea, situated in the village of Uteos that near Alushta and Yalta. Offers you a VIP vacation in Crimea holiday house "Feet in the sea". What does this mean? In short - a comfort. 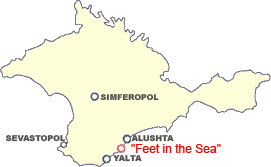 First of all, this is where the holiday house is "Feet in the sea" - namely, on the coast of Crimea. Can you imagine? You have a window of a beautiful sea view! And coming out of the hangar, do a few steps - and your feet in the sea! That's why our holiday house and is called - "Feet in the sea"! Not all the holiday houses in the Crimea are so close to the sea as ours! In addition to location, vip vacation in the Crimea in 2019 implies a range of recreational activities. If a VIP vacation in the Crimea for you - not just an idle doing nothing on the golden beaches, but also leisure - you may be drawn up an individual program of rest. Want to dive into the depths of the sea to the realm of the master of the seas - Poseidon? Please - diving at your service. Would you like to ride on a yacht? Nothing could be easier. And maybe you will also appreciate the personal trips, where you yourself will decide - what and where you want to watch. At all times, vacation in Crimea to give all travelers the opportunity to gain unforgettable impressions, which you can share with your colleagues and close friends, and photographs will help to refresh your memories, and a good completion in your family (or personal) album. 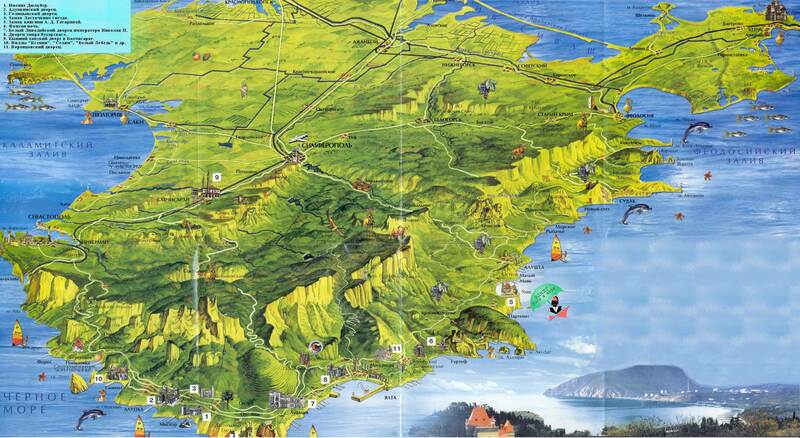 We guarantee that you will long remember the VIP vacation in the Crimea. Holiday house "Feet in the Sea" has a beautiful and comfortable sleeping rooms - for those who are willing to share their holidays in good company right next to the sea. And your own mangal will allow you to eat delicious barbecue. Sauna warmly welcome you, and on the provisional application can fall into the hands of an experienced masseur. VIP vacation in the Crimea in the holiday house, it's certainly not just a holiday spirit, but also the body. Gourmets will be able to satisfy all your naughty requests - here a wide selection of seafood, however, as a variety of cool drinks in a nice steamy glasses. Those motorists who are not willing to part with their favorite iron and who are interested in vacation in the Crimea, holiday house "Feet in the Sea" can pleasantly happy - just a hundred meters from the hangar, there is guarded parking. Benefits of the vacation in the Crimea on the car needs no extra advertising - you can quickly get to one of the many coves, to which the land tourists simply do not get. Not for bragging, but still want to note that not all the holiday houses in the Crimea could take care of the cars as well as on their hosts. Interested in vacation in the Crimea in 2019 without middlemen? owner of the holiday house "Feet in the sea"!